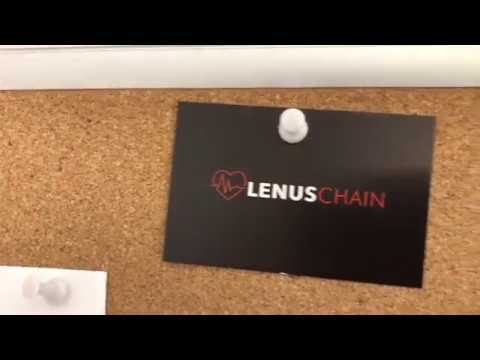 LenusChain is a startup that will combine health data monitoring with blockchain technology and token economy. By downloading the LenusChain App users will be able to experience a new way of health data monitoring, tracking and storage. By granting other users access to the personal LenusChain data it will be possible to combine different devices on ones LensuChain dashboard. Users now have the possibility to create and manage health spaces for different groups. The use cases stretch from a corporate health space where employees can compare each others progress to amateur or professional sport clubs, families, nursing homes or hospitals. By creating different levels of data protection its possible to individually allow different health spaces to see different amounts of data. Additionally LenusChain offers state-of-the-art preventive health care by using chat bots which react to specific changes in user behaviour. This can be disregarded or made use off, depending on the user itself. By offering guidance and solutions LenusChain will play its part in increasing life quality and sickness prevention by even offering direkt specialist treatment in the surrounding area of the user. Finally we offer different health spaces the opportunity to create custom tokens. These tokens can be used to reward progress, increase motivation by generating a more competitive environment or simply to compare achieved results easily. These tokens are generated automatically by smart contracts. So if there is an improvement the user will be rewarded with customized tokens. This is the wearable health market. The team looks capable. The blockchain use case is not strong, nor is the market awareness. Team expansion developers / advisors. Definition / start / implementation MVP.